DetroitKnitter: The Christmas Cards are Done! 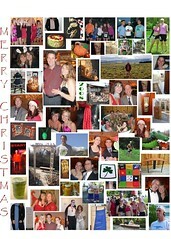 The Christmas Cards are Done! 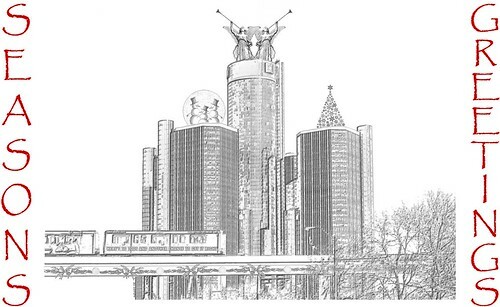 This is the Christmas card I designed for this year from one of my photos of Detroit . The caption on the People Mover reads "Here's to 2009 and another chance to get it right". After completing the card itself, I decided to go ahead and make the "picture page" to include in the card since people seemed to really like that when I did it in 2006. When a picture page wasn't included in last year's card several people mentioned it. Of course with my two knee surgeries that I had this year I didn't do much running... LOL. But did make a lot of stuff and do a lot of projects most of which are included on this picture page; of course there's only so much room on a page. All and all it was a good year!